If the custom designed artwork doesn't satisfy your needs, you will be delighted to hear you also have the choice of four different camouflage patterns to print your design on. Choose from Mossy Oak Break Up, Mossy Oak Duckblind, Mossy Oak Obsession and Mossy Oak Treestand. 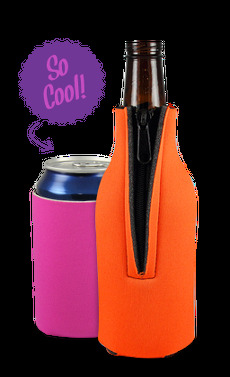 This camo can coolie is collapsible and derived from premium 1/8" thick scuba material and fitted to hug most 12 cans. With a stellar camo pattern as the back drop with a creative art design printed in full color, your new camo can coolie is sure to win the votes of everyone.